If you closed your eyes and threw a dart you’d probably hit someone talking about heroes. And why not? For politicians, orators, and pitchmen alike it’s an easy mark, and has been since 9/11. But proving once again that talk is cheap, the hero notion—like any fad that starts to wear thin—ceases to hold much meaning these days. A hero is considered someone of distinguished courage and ability, admired for brave deeds and noble qualities, which sounds sort of odd considering where the word actually comes from. In Greek Mythology, Hero was a high priestess in the cult of Aphrodite, the goddess of love, beauty and by a small leap of logic, sexual rapture. In living up to her priestly duties, Hero would receive, on a nightly basis, a young lover named Leander, who had to swim the perilous strait of Hellespont (now the Dardanelles) to see her. One night, Leander’s stamina failed, and alas, he drowned, not in love, but in the water. Grieving, Hero threw herself into the sea, hoping for a rendezvous with her lover in the afterlife. How Western Civilization went from Hero’s parable of desire to the notion of a hero as someone valiant and larger-than-life has probably spawned a college course or three. But safe to say, what we now deem heroic has little to do with the lovelorn priestess’s fate. The people most often called heroes today are soldiers. Brave soldiers, wounded soldiers and sadly, those who have fallen. But talk to a soldier and what becomes clear is that they never think of themselves in terms of the heroic. In fact, they are often embarrassed by all the hero talk that gets tossed in their direction. Green Beret Chad Lawson, Sgt., Special Forces Command, finds today’s hero culture a tad “inauthentic” because nothing in his world is focused on public accolade or chest-thumping. Instead, what matters most to Lawson and his brother Green Berets is accountability and responsibility to each other; fulfilling their roles in a combat environment; and the integrity of the unit. So when a stranger approaches with an offer to buy “the hero” dinner or a beer, when it is sincere and grateful, coming from the heart, Lawson appreciates it VERY much. Especially, as he’s pained to mention, when considering how Vietnam veterans were treated. While Lawson never wants to appear ungrateful for people’s gratitude or respect, he admits he can be made uncomfortable by people’s common urge to tag him with that easy label. Part of the disconnect, he believes, stems from the reality of military life. It is so alien to the civilian experience that people who are not in the military have no criteria by which to evaluate a soldier. Because of this divide, and despite best intentions, Lawson is left to wonder how a civilian could ever know what a soldier does, or whether he or she really qualifies as a hero. Lawson wishes there were more common ground between the two worlds, but in our society the overlap is so slight it creates, at best, “co-existence”. That’s why, for him, the opportunity to sit down with a civilian over a beer can be so rewarding. Lawson is quick to point out that everyone in the U.S. military, whether heroic or not, whether Special Forces or not, volunteered. They chose the life. No one made them do it. They all “raised their hand” to serve, knowing that the choice could entail an extreme sacrifice. And for many of them it does. Every branch of the Armed Services has at least one Special Forces group that falls under the United States Special Operations Command. These Special Forces warriors, among the best trained, most effective and specialized in the world—despite Hollywood myth-making to the contrary—suffer wounds, injuries, and yes, fatalities. In fact, based on the nature of their mission and deployment, the Army’s Green Berets, founded in 1952, suffer the highest rate of casualty of any Special Forces branch. 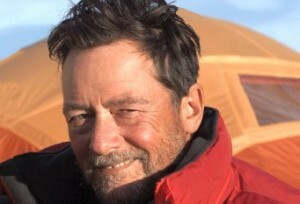 Tusker Trail founder Eddie Frank is no stranger to the Special Forces. 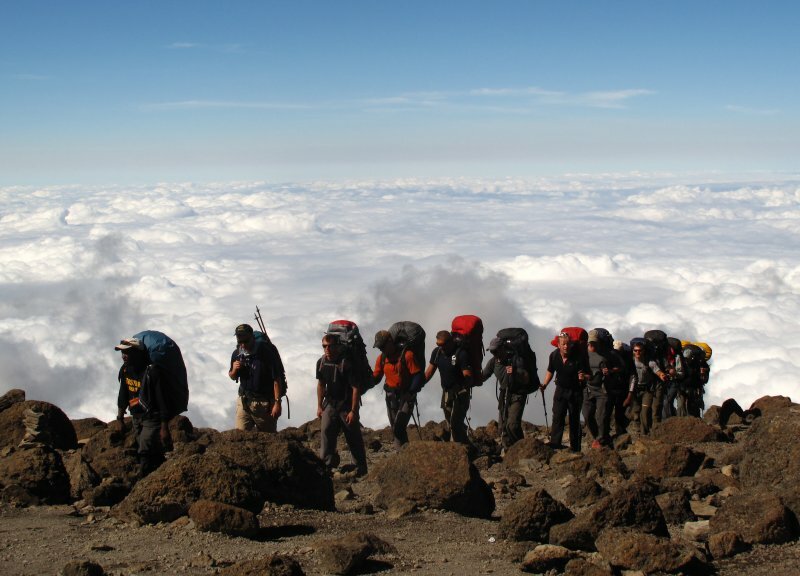 As a leading expert on high altitude, its effect on the human body and ways to counter it, he has over the years shared some of his hard-earned knowledge with the U.S. Army Rangers. For this, as a civilian, he enjoys a respected place in their community. He’s even been known to pop for a beer or two, but of course without all the easy talk of heroism. Eddie is also no stranger to fundraising. Since 2001, through Tusker’s fundraising arm, his company has completed over 70 Kilimanjaro charity climbs, raising over $11 million for organizations that include Make-A-Wish, CARE, Canadian Breast Cancer Foundation, the Amani Children’s Home, and the Children’s Brain Tumor Foundation. 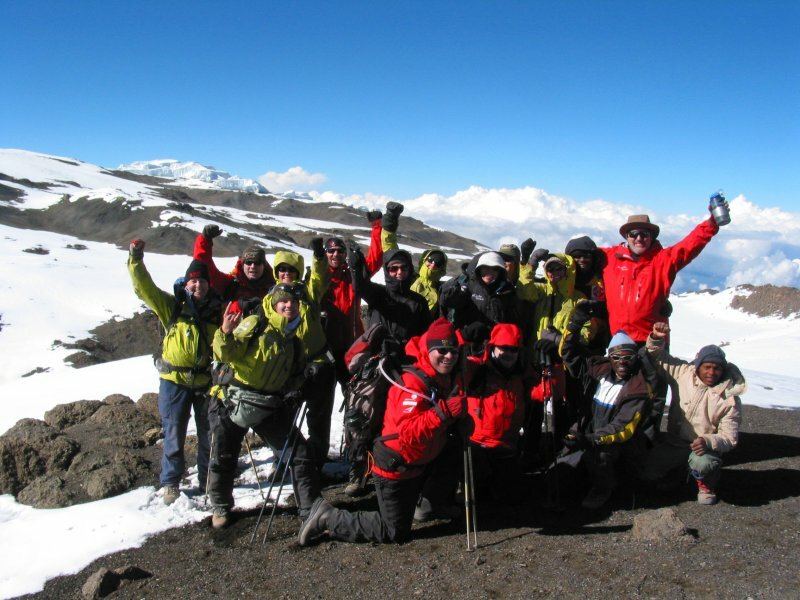 It is from Eddie’s prolific fundraising history, and his strong standing within the Special Forces community, that Tusker’s Kilimanjaro Climb for Valor was born. 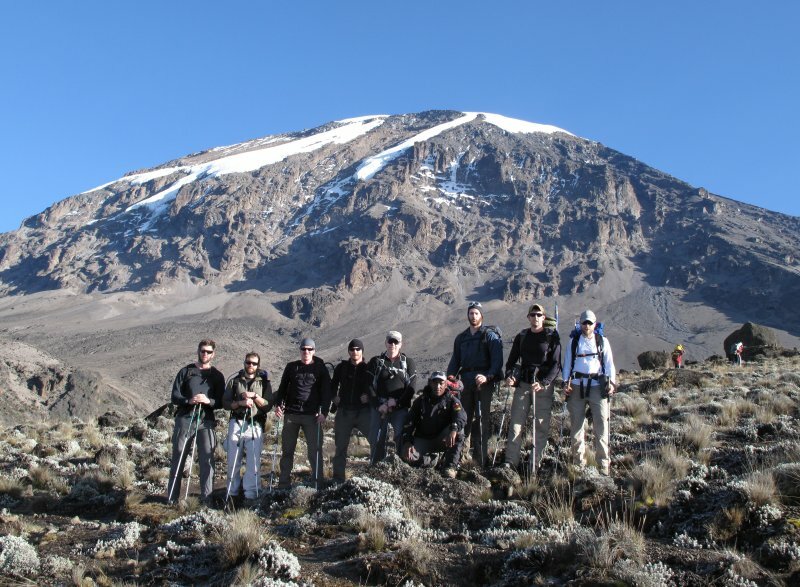 Tusker’s Kilimanjaro Climb for Valor will benefit the Duskin-Stephens Foundation, a non-profit, all volunteer charity for Special Forces soldiers, past and present, and their families. The group has deep respect and credibility within the tight-knit Special Forces community. With an initial goal of $100,000 100% of the money raised on the Climb for Valor is guaranteed to go to the Duskin-Stephens Foundation. From the money raised, no salaries will be paid; no expenses taken, and no money will be earmarked for phantom line-items. Every single dollar raised will be a dollar given. And to a worthy cause. It’s the perfect chance to walk all that hero talk, and given that we’re talking about a trek to the summit of the world’s highest solitary peak, “walk” is the operative verb. On the Climb for Valor will be two Green Beret veterans wounded in action; two widows of Green Berets who have fallen; and twelve climbers interested in helping the cause while sharing a remarkable adventure with people who know what it means to sacrifice. Staff Sergeant Tyler M., a 27 year-old Green Beret vet from Harding, New Jersey, was shot during a firefight with Taliban in Afghanistan. After a four-and-a-half month grueling rehab, aside from what he calls “a few mobility issues”, he is expected to make a full recovery, and resume active duty. 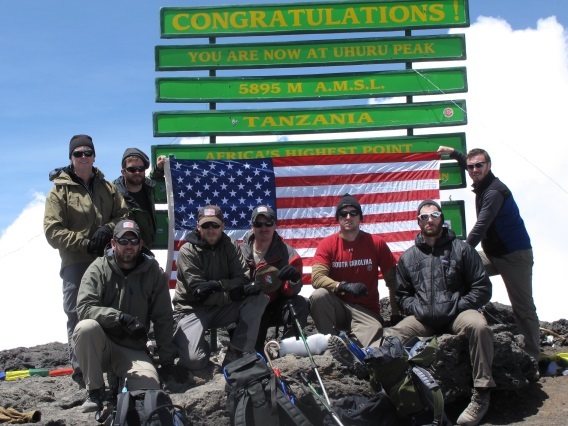 On Tusker’s Valor Climb, Tyler said he’ll be proud to benefit the Duskin-Stephens Foundation, which has been so helpful to Green Beret families. And post-rehab, he’s up for the physical challenge of Kilimanjaro to see how he stacks up. In April 2013, Sergeant First Class Jesse B., 29, from Hastings, Minnesota, was conducting a joint training patrol with local forces in Logar Province, Afghanistan, when his vehicle was struck by an IED. An estimated 67% of his body was burned in the blast, more than half of which was diagnosed as third degree. He also cracked his ribs and fractured a pelvis. After more than a dozen surgeries, including a one-month medically-induced coma, and endless burn and physical therapies, Jesse is not only walking again, and remarkably, returning to active duty, but he’s ready to climb yet another mountain—Kili—for the cause. Like Tyler, Jesse is eager for the catharsis of proving himself on the mountain, but he’s mostly motivated to help the Duskin-Stephens Foundation. He benefitted from their generosity and says there will be no greater feeling than helping someone going through what he endured. For those twelve climbers inspired to take to the mountain with Tyler, Jesse and the two Green Beret widows, the minimum donation to qualify for a slot will be $10,000. This donation can be raised amongst your friends. It’s a small amount when you consider that dollar-for-dollar will go to Green Berets and their families, and that donors can even pool resources to back one lucky climber who will then go on to have the experience of a lifetime representing his or her community in support. 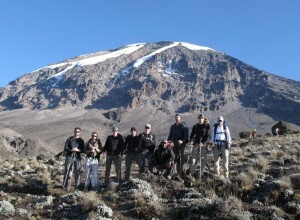 Tusker has built its reputation offering unique adventures all over the world. The Kilimanjaro Climb for Valor shapes up to be one of its most meaningful, and unique. It is guaranteed to be heartfelt, humanity-rich and challenging, an unforgettable emotional experience. And it may also do its small part in building that bridge between the military and civilian worlds that Sgt. Lawson finds so missing. Eddie eventually hopes to expand the Climb for Valor to benefit not only Green Berets, but multiple Special Forces services as well. They all walk the same steps, face the same challenge, and make the same sacrifice. Better than meeting a hero, walking the talk on the Tusker’s Climb for Valor you may even feel like one.